City officials opened this walking trail Dec. 3, 2015, creating direct student pedestrian access to Spring Station Middle and Summit High School, and recreational opportunities for nearby residents. The 8-foot-wide, multi-use path spans 1,800 feet and connects into existing sidewalks at each end to create a school pedestrian connection, complete with crosswalks. 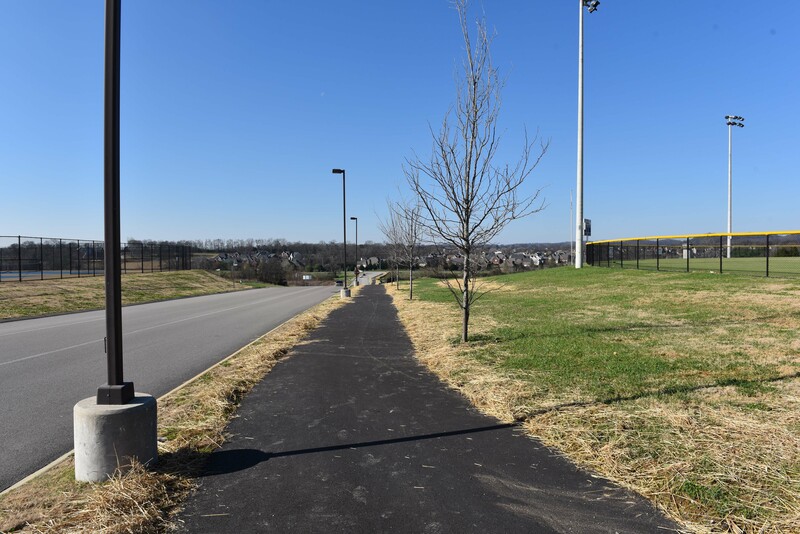 The project connects sidewalks across Buckner Lane in the Cherry Grove Addition to the Summit High and Spring Station Middle campus, which has its own trail and sidewalk network. The project was funded primarily through a $56,158 Active Transportation Program grant, which is federal transportation funds received through the Nashville Area Metropolitan Planning Organization (MPO). The total project cost was about $89,000, with the City contributing the remaining funds.